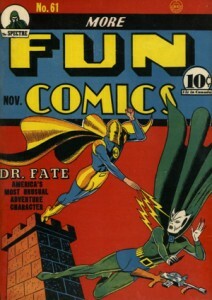 When Dan and Jim said they were open to a pitch for a new series, I asked after the availability of Doctor Fate because of my fondness for the original character going back to the classic SHOWCASE issues by Gardner Fox and Murphy Anderson (though I first read them before I was paying any attention to credits, much less meeting Gardner and becoming a friend of Murphy’s for decades). Relaunching to try to capture a more contemporary feel was a challenging goal, especially since a couple of the takes that had been done by old friends like Steve Gerber, Keith Giffen and Marc DeMatteis had explored different variations with at least creative success. But without a doubt, the smartest thought I had in that first meeting was suggesting Sonny Liew as the artist. I had met Sonny when he was doing MY FAITH IN FRANKIE for Vertigo, and had enjoyed his expressive work. He was kind enough to occasionally send me his work from Singapore, and when I visited there for their comics & games show a couple of years ago we connected again. That had me on the lookout of his current work, and I had seen his quirky take on super heroes in THE SHADOW HERO in the months before that fateful meeting. But I didn’t know that Sonny was an incredibly smart artist, and a courageous storyteller who enjoyed playing with the form. We do DOCTOR FATE from full scripts, but he’s comfortable making suggestions that restage scenes for better drama or more visual imagination, and his sense of characterization and acting has brought the cast to life. He’s also been comfortable challenging me about scenes or character depictions, which has usually led to a result that both of us felt was better. 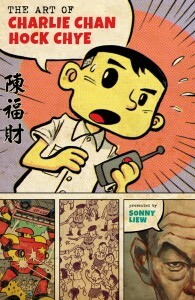 I also didn’t know that he’d just completed and was about publish a masterpiece: THE ART OF CHARLIE CHAN HOCK CHYE. 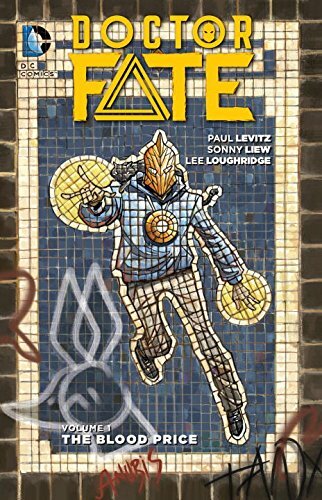 Even better (from a selfish standpoint), Pantheon would be releasing that book in the U.S. almost simultaneously with our first DOCTOR FATE trade paperback. Pantheon has a great ability to get their titles reviewed in serious forums, and CHARLIE is such a worthy book that it’s already been acclaimed on NPR and in places like THE ECONOMIST. I’m not sure how much collateral effect that’ll have on DOCTOR FATE: THE BLOOD PRICE, but it has to help. Proud as I am of THE BLOOD PRICE (I think it’s the best thing I’ve done since coming back to the keyboard in 2009), CHARLIE is by far the better book. If you only buy one of Sonny’s books, start there, please. And if you want to meet him, we’re doing a joint signing at MIDTOWN COMICS Fulton Street store the evening of April 1, and I’m interviewing him at a panel at the MoCCA Fest on Saturday, April 2. It’s a rare U.S. trip for him, but he will also be making an appearance or two in other cities courtesy of Pantheon. I hope to see some of you there, and if you haven’t read FATE, check out the trade. If the book does well enough, it might give the series a longer life. As a periodical, it’s not a commercial star even though it’s gotten good reviews, It’s almost 20 years since the first DC series to have continued as a periodical because the collected edition made the project profitable when the periodical couldn’t (TRANSMETROPOLITAN, for the history buffs), and I’d be thrilled if FATE could follow in its footsetps. Is it really feasibly to habe Dr. Fate continue on after the DC Rebirth? Even though Khalid didn’t interact with any other Superhero so far it was considered a DC book and so should be affected by Rebirth. That’s good to hear. Love the series.